RailYatri, the service which provides comprehensive information on trains, passenger amenities at stations, platform information, the speed of the train, and much more says Airtel has the widest network coverage on a train route. The company recently updated their mobile app with a new feature which displays the mobile network coverage for any train. With this, travellers can check and compare the mobile network coverage across various routes. 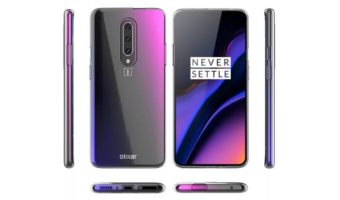 This feature also comes in handy for long distance journeys as passengers can stay connected with families when the signal strength is good. According to the RailYatri app, Airtel has extensive network coverage across the country. 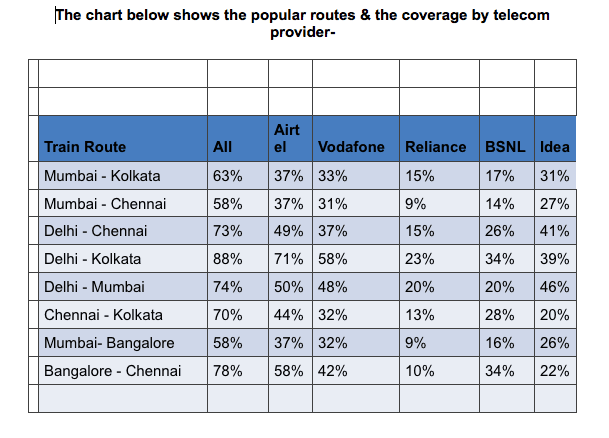 Also, the primary connection between metros Delhi- Howrah (Kolkata) route scores the highest at 88 percent network coverage. In contrast, the Mumbai- Bangalore route has only 58 percent coverage. 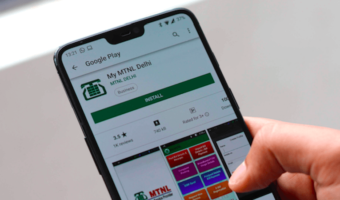 The Bangalore-New Delhi route has a network coverage of 61 percent with Airtel dominating the space with 38 percent coverage, followed by Vodafone and BSNL at 26 percent and 24 percent respectively. 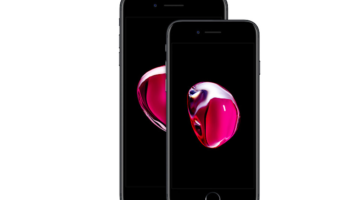 In the Mumbai-New Delhi route, the network coverage was 74 percent with Airtel in the lead again. 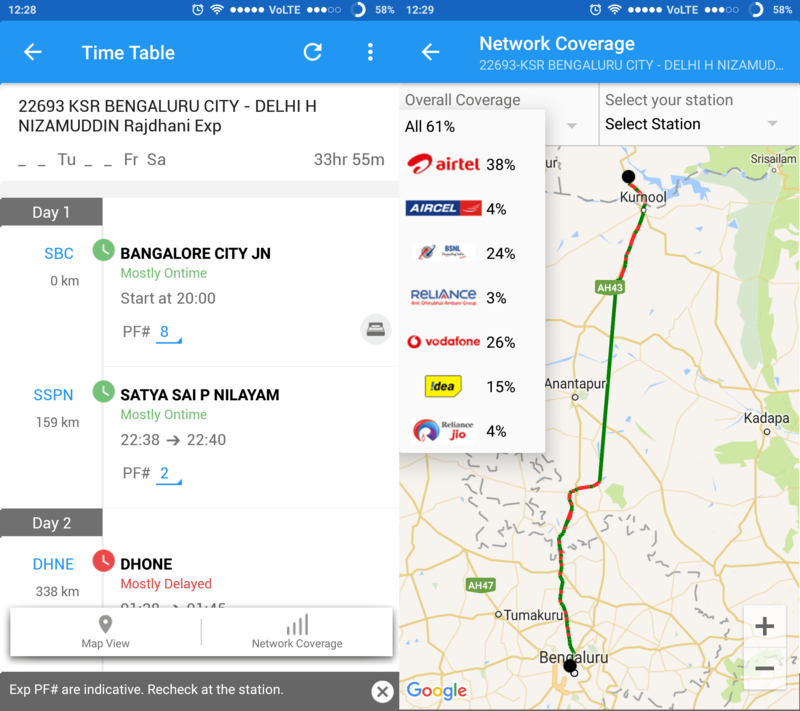 You can check the network coverage of your desired route by heading over to the RailYatri application and clicking on the timetable of any train. Let’s do a bus route coverage survey. I am 100% sure Vodafone is not no.2 in national coverage.